In Rajasthan Tour Package, we have included everything from romance to royalty, from spirituality to nature, which will cover the State’s Capital Jaipur, Golden City Jaisalmer, Blue City Jodhpur, Marvelous Udaipur, Holy City of Pushkar. Rajasthan travel packages promise you the most exotic & fascinating tour experienced you had ever imagined. With royal Rajasthan tour, you get to explore the impressive design of 17th and 18th century India at its finest at Jaipur’s City Palace, Jantar Mantar, Hawa Mahal and Albert Hall Museum. 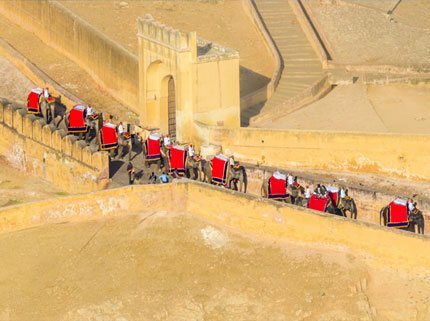 You can use the Elephants to reach the gates of Amber Fort in style. Rajasthan Tour Package will then take you to the colorful souks of Jaipur and also the place where you will see the Famous Block Printing live. Take a dip at the holy lake at one of the foremost holy places of Hindu, famed for the sole temple of Lord Brahma in the world. Inhale the superb rose essences in the world-famous rose garden and indulge in its mesmerizing beauty. 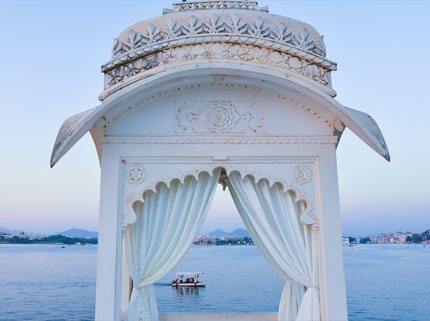 Your next destination on Rajasthan Tour will be Udaipur. Get allured in the famous Sahelion-Ki-Bari, Folks Art Museum, City Palace, the largest palace compound in India and take a pleasant boat ride on the Lake Pichola. Next charming destination on the list will be royal Jodhpur. 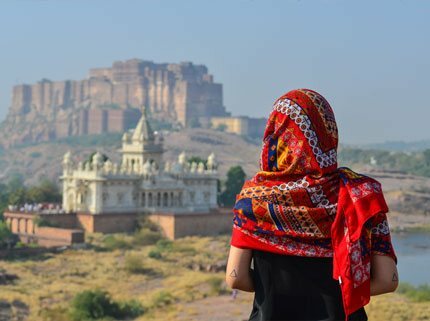 Respire the magnificence of Mehrangarh, Jaswant Thada and Ummaid Bhawan & soak their opulence deep into your souls. Explore rich heritage at the Sonar Quila and the Museum Palace at the Jaisalmer Fort. Visit knotty and fascinating Patwaon-ki-Haveli and Nathmal Haveli. Cherish the splendid moment adoring the sunset in the sand dunes of Thar Desert on a Tour to Rajasthan. 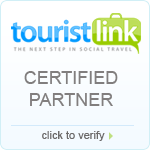 Contact us to get your Royal Rajasthan Tour materialized. A beguiling & enchanting journey awaits! Get to know Jaipur with a glimpse of all tourist attractions covered just for you! Explore the picturesque Jodhpur and its joyful streets with Rajasthan heritage Tours!